After reading in Obadiah and beginning a new study, looking in detail at the veiled prophecy, I truly believe that we are living in the final days before the return of Christ Jesus. As such, I also believe that whatever we see occurring to the nation of Israel today has already been predicted to occur from the prophets of the Bible. In other words, I believe we should be able to find some specific prophecies in the Bible that are happening right before our eyes. Since the Old Testament PROPHESY is centered around the Jewish people, we should be able to find out what God says about everything that’s going on today. So we need to start our investigation by looking to see what’s happening to the Jews. Today, we are witnessing Israel’s struggles with Palestinian refugees, militants, terrorists, and their hatred toward the Jews as a people and a nation. This CONFLICT is affecting the entire world and the world’s response in making matters more difficult for Israel pressuring her to do things to her detriment. I’ve come to the conclusion in my studying…this “battle” this “war” is unique and different from either of the two major battles most prophesy scholars, and I’m certainly not a “prophesy scholar”, recognize occurring in the end times. The Middle East war is not the Battle of Gog and Magog; nor is it Armageddon. This battle I.m referring to precedes both of these, and we can see the players in this conflict jockeying for position on the nightly news. This little-studied psalm shows that at some point in time Israel’s national existence will be confronted with possible annihilation by the hands of a coalition of enemies bent on wiping them off the face of the earth. The modern equivalent of the ancient names of Israel’s enemies as I’ve pointed out is shown as Israel’s immediate neighbors. They have all fought battles with Israel in the past 60 years and lost! They all share borders with her. They are all predominately Muslim countries. I might also add that the driving force behind this alliance of nations is the Palestinian push for their own national identity of the promised land to Israel. How is this Prophecy going to play out, and what will the results turn out, and when will this prophecy take place? The answers are revealed by God in studying the words of His prophets over thousands of years ago. This little book in the Old Testament is only 21 verses long but so much evidence given. The entire book is composed of God’s response to the Israeli/Palestinian conflict displayed in Psalm 83. And for a comparison, we can also look at the prophet Jeremiah (Jeremiah 49:7, 14). Jeremiah 49: 7, 14 –  Concerning Edom: This is what the LORD Almighty says: “Is there no longer wisdom in Teman [Edomite clan, perhaps Hamas?]? Has counsel perished from the prudent? Has their wisdom decayed? So in these passages, God is sending a message to His prophets about the Palestinian people, because both of them say this message concerns Edom. You may be wondering as I was when I began this blog, how do we know that these are prophetic Scriptures? And, how do we know the events described haven’t already taken place in history? The FIRST reason I discovered that these passages are prophetic in nature is that never before has there been such an alliance of nations against Israel as described in Psalm 83. But one can be found forming today. The SECOND reason found that these passages are prophetic and likely referring to modern times is found in The Book of Obadiah and in Jeremiah 49. These two books in the Bible tell us what kind of condition the Edomites or Palestinians are going to be when the battle occurs. It’s only today, when Israel is a nation living in their homeland for the second time, that we find the Edomites or Palestinians fit the description among the nations as being small. The only areas they can claim is the Gaza Strip and the West Bank. Likewise, these verses say they are despised. Worldwide, while the Palestinians may receive sympathy for their refugee plight, their terrorist tactics and religious intolerance are despised. Locally, they have the backing of the surrounding Muslim nations and yet, those same nations with contempt are refusing to allow them to settle inside their own borders, using them to promote their own goals against Israel. The “Edomite spirit” of the Palestinians using suicide bombing and other forms of terror attacks against their enemies–in no way could defeat Israel in an all-out battle militarily. So instead, they use scare tactics to wear down their opponents. And since the “Edomite spirit” has spread to the international community; including America, pressuring Israel to give in to some of their demands, the Palestinians are being deceived into thinking their tactics are working. A false belief has also increased their PRIDE. This FALSE BELIEF is not only in themselves but also in their false religion as well. Let’s look at Scripture of other descriptions God gives that show us that the PROPHECY is coming to pass right before our very eyes. Egypt, Lebanon, Jordan, Saudi Arabia, and Syria. But I noticed this alliance isn’t quite as neighborly as you might think. Psalm 83:4 tells us why this coalition has come together. They have said, Come, and let us wipe them out as a nation; let the name of Israel be in remembrance no more. They all agree with the Palestinian cause. They all want to see the nation of Israel destroyed so that the Arabs once again are in control of the Holy Land. But that’s where this “friendship” ends, although the Palestinians don’t know it. The BORDER mentioned in Obadiah 1:7 refers to the Israeli border. The Palestinian people are being encouraged, perhaps even encouraged and forced to perpetuate the refugee communities along the border. Being used as a form of insulation to Israel and neighboring countries. The second thing verse 7 says is these nations, which the Palestinian’s think of as friends, are deceiving, overpowering, and setting traps for them. When the Arab countries were defeated by Israel in the Six-Day War, they realized that they wouldn’t be able to cut Israel off militarily at that time, so they adopted strategies of TERROR AND PROPAGANDA, using their displaced Palestinian kinsmen as front-line, human landmines in this battle to eradicate the Jews. The Second Lebanese War we witnessed in 2006 is a perfect example of the “trap”. While small terrorist groups and Palestinian refugees were sending rockets into Israel and being bombed by the superior Israeli armed forces, these neighboring countries were flying under the radar. I believe that this short war was a dress rehearsal for the battle predicted to come in the Bible. So as you can see, these prophetic passages I’ve listed in this blog, Psalm 83, Obadiah, and Jeremiah 49 are obviously speaking of events that are occurring now in the Middle East today and in the near future. As I previously mentioned, this BATTLE isn’t the Battle of Gog and Magog that comes into the picture later. We know this because of Ezekiel 38 and 39 doesn’t list any of the nations listed in Psalm 83 coalition taking part in the Battle of God and Magog. I believe that’s because as a result of the BATTLE, Israel and the coalition of hate of the neighboring nations will no longer exist. A disregard for the spiritual things (Carnal minded). Takes things by force lacking patience for growth. Holds grudges and perpetuates hatred. It was Herod, of Esau’s race (Josephus, Antiquities of the Jews 14:1, Section 3) who had the male infants of Bethlehem slain in an effort to destroy the Christ Child (Matt. 2:16). Satan needs no better medium than an Edomite spirit for his evil plans. An EDOMITE SPIRIT never surrenders to God. An EDOMITE SPIRIT never finds peace with God or peace with himself. Unless he (they) repents, he cannot be saved from God’s wrath to come and he will be shaking his fists at God at judgement day. Kavaes, Joe. Psalm in a Bog, Linked to Israel’s Current War. WorldNetDaily.com/ July 6, 2006. Commentary: The Edomites Today, by Gavin Finley. PHOTOS/IMAGES: Google Image Search – Settings, advanced search. Bible Translations: NIV, AMP, or were noted in the text or Images. Marshall your troops now, city of troops, for a siege is laid against us. They will strike Israel’s ruler on the cheek with a rod. VERSE One is a prophecy or a “foretelling” of what is to come in the near future. It is the PROPHECY that king Nebuchadnezzar was going to attack Jerusalem and that king Zedekiah would be struck on the cheek with a rod. This all came to pass and king Zedekiah, the “ruler” at that time was taken captive and tortured resulting in the king being blinded. This initial verse in Chapter 5 describes a picture of strife, defeat, and hopelessness. The following verses are a contrasting picture of Micah 5:1 as the Prophet Micah changes direction in Verse 2 to a PROPHECY for the distant future. He will be born in Bethlehem, a town approximately 5 miles south-southwest from Jerusalem. Compared to Jerusalem which was a large city with majestic buildings, Bethlehem was small. When people ask me where I grew up I tell them San Diego, California. But actually, I grew up in Pacific Beach/Clairemont, California which is an area located about 9 miles north of San Diego. Very few people outside of the area know about “PB” because of its small and relatively insignificance. Out of something small and weak God brings significance and strength. Out of this insignificant little town would come to the Messiah, the King of Kings who was in the beginning and forever will be. He will be a shepherd His flock. He will provide for them physical and spiritual needs. He will care for them, unlike the earthly kings that look only to their own interests and well-being. He will RULE by the strength of the LORD and not the strength of engineering, technology or reason. His extent of Authority will not be limited to Jerusalem or Israel but will stretch to the ends of the earth. He will have complete AUTHORITY over every tribe, every kingdom, and every nation. All because His flock can never be out of His reach or authority and He will be their PEACE. Through the Christ-child born in Bethlehem, we have eternal security knowing that He has conquered Satan, death, and the grave that provides an eternal home for each one of us who believes in the miracle. That is PEACE that cannot be shaken if we live our lives according to our Faith. The second PROPHECY to look at regarding the BIRTH of Christ Jesus is in the Book of Isaiah. Ahaz was the king of Judah at the time (approximately 700 B.C.) and was under the threat of attack from both Syria and Israel who made an alliance together. That MESSAGE applies to us as well. Our FAITH isn’t something that should be worn around your our necks as a medal but it should dictate how we live our lives. Ahaz must not have heard God’s message because it says “Again the LORD spoke to Ahaz” (verse 10). This time God even tells Ahaz to ask for a sign from Him that what He says is true. Is it then OK to ask God for a sign? Well, that depends on the motivation of the heart! During Jesus’ earthly life the Pharisees asked for a sign but would not have believed because their only motivation was to trick Jesus. Gideon asked for a sign to make sure that he was going to do God’s will and when he received the sign he obeyed the Lord’s directions in FAITH. The truth here? Ahaz didn’t believe, he didn’t have FAITH and he didn’t want to hear anything that was contrary to what he already planned. Like Ahaz, many times we come-up with our own plans for the future and when God intervenes through the Holy Spirit we sense that still, small voice telling us that we should PRAY, or He gives us that uneasy feeling that what we are planning on doing is not what God wants us to do and many times we don’t want to hear it. We like OUR plan and it makes perfect sense to us. To Us, A Child Is Born! The third prophecy I want to look at with you regarding the BIRTH OF JESUS CHRIST in Isaiah 9:1-7. This is the very reason for us to REJOICE, this year and every year and every single day because you and I have seen a great light and that great light has dawned on us. With Jesus, we have HOPE, FORGIVENESS OF SIN AND ETERNAL LIFE. All of this comes about because of God’s zeal. It was God’s zeal for you and me that caused Him to send His Son Jesus to be born of a virgin in the little, insignificant town of Bethlehem so that God Himself could take on flesh and walk among us, experience life just like you and I, but without sin so that He could become our SACRIFICE paying the penalty for our sins. He was crucified, dead, buried, rose again on the third day and ascended to heaven where He purchased a place for you and me and offering it as a FREE GIFT! One day He is coming back because Jesus said, “And if I go and prepare a place for you, I will come back and take you to be with me that you also may be where I am” (John 14:3 – NIV Bible). Let’s live our lives according to what we BELIEVE so that others will truly understand the true meaning of Christmas and see that Great Light shining in the midst of darkness. Bible Translations: New International Version (NIV; Amplified Bible (AMP, except where noted. (26) And in the sixth month the angel Gabriel was sent from God unto a city of Galilee, named Nazareth. (27) To a virgin espoused to a man whose name was Joseph, of the house of David; and the virgin’s name was Mary. (28) And the angel came in unto her, and said, Hail, thou that art highly favoured, the Lord is with thee; blessed art thou among women. (29) And when she saw him, she was troubled at his saying, and cast in her mind what manner of salutation this should be. (30) And the angel said unto her, Fear not, Mary; for thou hast found favour with God. (31) And, behold, thou shalt conceive in thy womb, and bring forth a son, and shalt call his name JESUS. (32) He shall be great, and shall be called the Son of the Highest; and the Lord God shall give unto Him the throne of his father David: (33) And He shall reign over the house of Jacob for ever; and of His kingdom there shall be no end. (34) Then said Mary unto the angel, How shall this be, seeing I know not a man? (35) And the angel answered and said unto her, The Holy Ghost shall come upon thee, and the power of the Highest shall overshadow thee; therefore also that holy Thing which shall be born of thee shall be called the Son of God. (36) And, behold, thy cousin Elisabeth, she hath also conceived a son in her old age; and this is the sixth month with her, who was called barren. (37) For with God nothing shall be impossible. (38) And Mary said, Behold the handmaid of the Lord; be it unto me according to thy word. And the angel departed from her. Angels don’t make a practice of appearing to people in the middle of nowhere. So when Dr. Luke starts out his narrative, a short story about an angel appearing–both to Zechariah and ALSO to Mary, we know something special is about to occur–something that has never happened in the history of the world. Seemingly out of the blue, God was about to announce His eternal plans in specific detail to one young and seemingly insignificant young girl, living in an insignificant small village of Nazareth. “Behold, the days are coming, says the Lord, when I will raise up to David a righteous Branch (Sprout), and He will reign as King and do wisely and will execute justice and righteousness in the land” (Amplified Bible). Even though Mary was a seemingly miniscule young girl living in a small out of the way village, God was going to use her womb to turn the whole world upside down. Here was a young girl, between the ages of 12 to 17 years old, recently engaged to a man she barely knew, planning with her mother no doubt, the future wedding. What to wear, how many guests to invite, food for the reception, a future place to reside…. Let’s just imagine that afternoon, Mary’s mother might have asked her to go to the well to fetch a bucket of water; so the dishes from the previous meals would be clean. Afterall, Joseph was dropping by for supper that night, and they wanted everything presentable; to leave a good impression on the groom to be. First of all, notice Mary’s initial reaction to the angel’s greetings. She was “TROUBLED” and “CAST IN HER MIND”…( I call it “meditating” on the spoken words). A practice we should all take part in when the WORD is spoken. Meditate on what is spoken for us, to us, and over us. The angel had literally told this young girl, that she was about to be the recipient of an undeserved GIFT of God. What kind of gift would it be? Why was the angel appearing to HER, a simple and sinful servant of the Lord? Something BIG was about to happen–but she didn’t know what. The whole concept of GIVING BIRTH is a Miracle in and of itself. If you have ever seen pictures of how a sperm and an egg unite, quickly forming into eyes, ears, legs, and a whole human body, it is a miraculous thing. It is what we call “PREGNANCY”. But here, Gabriel was telling Mary–a VIRGIN–that she was going to have a son. That right there would be enough to absolutely put any woman, much less a young girl, into shock! Today, when a woman becomes pregnant, one of the fun things to do is to measure how BIG the child is. With fertility pills, the idea of giving birth to twins, multiple births, has jumped in number to six or seven rather than just two. I would think that most mothers who find out they are having more than one child might be overwhelmed at such a thought. Imagine if you can, what Gabriel was telling Mary here in the passage. You are going to give birth to not just a ten pound son–to twins or triplets–but the Son of the Most High–God Himself. GOD was going to be put into her womb–and start growing there. How would God, who fills the universe, be able to fit into Mary’s womb? Mary wouldn’t even get to pick His name, because His name was already picked out–JESUS. This is the Greek transliteration of the Old Testament name JOSHUA–which is a shortened form of two Hebrew words meaning–“the Lord saves”. The son that she would have–GOD–would be the Savior of the world–long foretold! What would this Savior end up doing? Many women over the course of history have given birth to kings. Some of them have had the pleasure of seeing their sons be crowned. Others have had the sorrow of seeing them dethroned. Mary’s Son, however, is to reign forever. His kingdom would never end. As a descendent of Jacob, she knew why. She had read of the CURSE that mankind had been under from the fall of Adam and Eve. She knew from the religious rites and regulations of sacrificing sheep and the Passover–that a Savior had to come to SAVE them from their sins. God had promised Abraham “through your offspring all nations on earth will be blessed (Genesis 22:18). BY FAITH, Mary knew WHY this had to happen–what she didn’t know was the question “How”? This wasn’t a question of DOUBT–but a question of mechanics. Mary was about to experience the FACT that God doesn’t always do things NATURALLY! He does them SPIRITUALLY–BY HIS WORD! Throughout the first chapter of Genesis, we read over and over again…God SAID…God SAW…(Genesis 1:3-4; 6-7; 9-12; 14-15, 18; 20-21; 24-25; 26; 29-31). So the question arises, how important are WORDS–presented by Luke’s narrative on Mary’s CONCEPTION? I remember when I was a child, my mother telling me repeated times, “Sticks and stones will break your bones, but names will never hurt you.” As well-meaning as mom was–she wanted me to get over my “hurt feelings”–it was a lie! Names did hurt, because I allowed the spoken word of others (the bullying), to manifest in my spirit. WORDS are “things” that can take on substance every time they are spoken. Words eventually produce tangible “things,” good or bad (Proverbs 18:20-21). WORD SEEDS were the KEYS to the virgin birth of Jesus Christ found in Luke 1:26-31. The angel Gabriel presented God’s Word to Mary, but only she had the authority to bring that WORD from God to pass. When Mary gave VOICE to the WORD, a “thing” was released. Applying this important KEY to our lives today, words of prayer, WORDS spoken–WORD SEED first, then CONCEPTION takes place as soon as we give VOICE to a thing. In Luke 1:45, we read “blessed (happy to be envied) is she who believed that there would be a fulfillment of the THINGS that were spoken to her from the Lord” (Amplified bible). The angel told Mary that her CONCEPTION would be supernatural and referred to the baby Jesus as a “HOLY THING” (Lk. 1:35). The VIRGIN BIRTH occurred when the Holy Spirit intervened to carry out the WORDS that Mary spoke. Mary’s cousin Elisabeth’s pregnancy, after being BARREN, was evidence that ALL THINGS are possible with God (vs. 36-37). What an encouragement this must have been to this young girl, and what an encouragement it is us today: “ALL THINGS ARE POSSIBLE!!! Mary agreed (internalized) the WORD-SEED of God and spoke–(‘planted’) it over her life–then the THING she spoke materialized (manifested) in the natural world. Mary BELIEVED God, so she RECEIVED the fulfillment of the “thing” for what she believed (v. 45). When we believe God and speak HIS WORD over our lives, we can receive the “things” that we speak. God never intended the BIRTH OF JESUS to be a surprise to anyone. He predicted it would happen in Isaiah. He predicted it would happen in Micah. He sent His messenger Gabriel, to SPEAK “things” to Mary on what was to happen. Now you may have heard the Christmas story many times by now–but don’t let the wonderful old story stop enlightening your FAITH through the holidays. GOD became MAN through a virgin–to live and die for each one of us. What a WONDERFUL GIFT Christmas is!!! Sermon Notes used for this blog: Creflo Dollar Ministries on Luke 1:26-38. Commentary: MARY: Believing the Impossible @ Keep Believing Ministries. Bible Translations: King James Version and the Amplified Bible. DANIEL had been in mourning and prayer for three weeks. IN THE third year of Cyrus king of Persia, a revelation was given to Daniel (who was called Belshazzar – his Babylonian name). Its message was true and it concerned a great war. The understanding of the message came to him in a vision. At that time I, Daniel, mourned for three weeks. I ate no choice food; no meat or wine touched my lips; and I used no lotions at all until three weeks were over” (Daniel 10:1-3 NIV Bible). Some Bible scholars think Daniel was in mourning because so few Jews had returned with Ezra from the exiles in Jerusalem. Others believe the FAST was because Ezra had faced severe opposition in the rebuilding of the Temple in Jerusalem. DANIEL didn’t go back with Ezra’s group of exiles. When the Jews went into captivity by the Babylonians, Daniel was but nineteen years of age. In Chapter 10, he is now about 84 years old and perhaps thought he could better serve the returning exiles from his high position in the current government. After praying and fasting for twenty-one days, Daniel is standing near the Tigris river with some other guys and see an angelic messenger. The others didn’t see the angel, but they did become very afraid and ran away (vv. 4-8). The words describe here in Daniel reminded me of the apostle Paul’s experience on the road to Damascus when meeting not an angel, but Christ Jesus. Paul visualized the event, but the ‘other guys’ heard but couldn’t see a thing (Acts 9:3-7). When we PRAY, many times we want the answer NOW! WOW! I don’t know about you, but what insights into the forthcoming answers in my prayer life. “HUMBLE” myself first to “RECEIVE understanding” to my requests. My PRAYERS will be heard and angel are sent! Certainly no human could withstand an angel, because we know from Scripture that angels are incredibly powerful. THE PRINCE OF PERSIA is not a man on earth, but in fact, someone in the spiritual realm. Looking at the suggestions given in Scripture, we can see these princes in the spirit world. In fact, there is an entire hierarchy and authority among angels and demons. “in heaven and on earth, things seen and things unseen, whether thrones, dominions, rulers, or authorities…” (Col. 1:16). Three times JESUS called him, “…the ruler of the world…” (John 12:31; 14:30; 16:11). And the apostle Paul refers to him as “…the prince of power of the air…” (Ephesians 2:2). Now although “RULER” and ‘PRINCE” are different English words, the same Greek word (AR-khone) is used in all the referenced verses. So by using deductive reasoning from the Scriptural evidence found–if Satan is the prince of the entire world, the power of the air, it stands to reason that the PRINCE OF PERSIA is a demonic entity which had authority over this part of the world–the nation of PERSIA. “FARSI” ( “Persian”) is the official language of Iran. 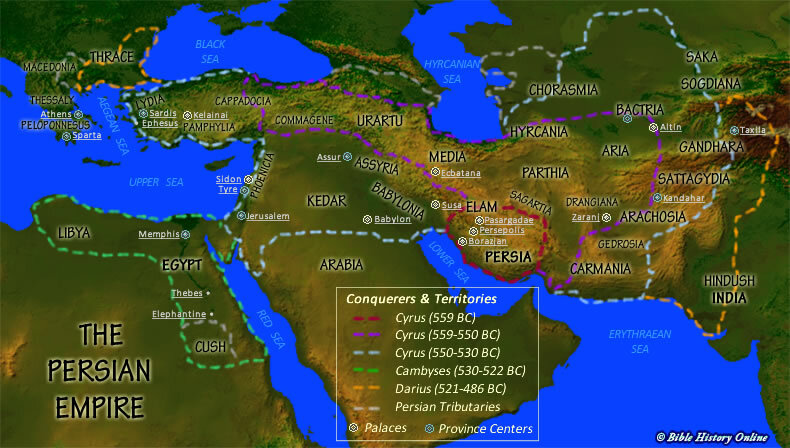 Persians come from the eastern regions of the Middle East (NOTE: Above Map) – [*See Footnote [i] ]. This story of conflict we’re reading about between Daniel’s angel and the prince of Persia is evenly matched–until reinforcement shows up on the scene. That reinforcement is MICHAEL, one of the chief princes (this is the first time that Michael is mentioned in Scripture). Elsewhere in the Bible we learn that he disputed with the devil himself over the body of Moses (Jude 1:9) and that he and his angels wage war against the devil and his angels in the Tribulation period (Revelation 12:7). According to the book of Jude, Michael is an ARCHANGEL: The compound word “archangel” are two Greek words, “AR-kho” and “ANGelos,” when combined, mean “chief angel,” or “ruler of angels.” [*See Footnote [ii] ]. 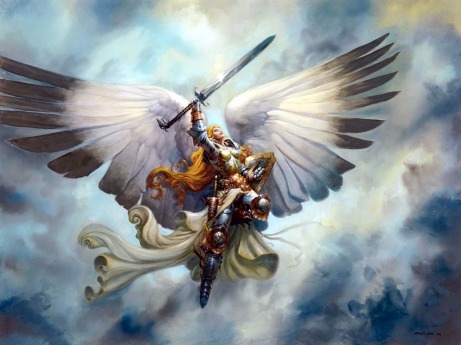 The word archangel is not found in the Old Testament, only the New Testament. So, whether he is the 5-Star General, or one of several generals, he is definitely a heavy hitter and the most powerful angel that we are told about in Scripture. Do you know why I have come to you? And now I will return to fight with the [hostile] prince of Persia; and when I have gone, behold, the [hostile] prince of Greece will come. But I will tell you what is inscribed in the writing of truth or the Book of Truth. There is no one who holds with me and strengthens himself against these [hostile spirit forces] except Michael, your prince [national guardian angel]. The angel had to return to fight against the prince of Persia. I had to meditate on these verses in particular, finding it interesting that the angel also knew the Greek Empire was going to be raised up after the Medo-Persian Empire. I don’t know if he saw in the spiritual realm that a demonic force was being prepared, or if God had already given him the inside story of the upcoming events. In either case, this angel was aware of what was coming. There is absolutely a spiritual battle going on and we’re involved. But we are not called to wage it in the spiritual realm. The apostle Paul told the Corinthians in 2 Corinthians 10:3-5: it is not a physical confrontation with demons but a spiritual battle fought on your own plain of existence. Let me rephrase that. If you want to destroy fortresses in the spiritual realms, then you DESTROY SPECULATIONS that people have against the knowledge. With a life marked by TRUTH AND RIGHTEOUSNESS; being PREPARED WITH THE GOSPEL; WALKING IN FAITH, and being SAVED. 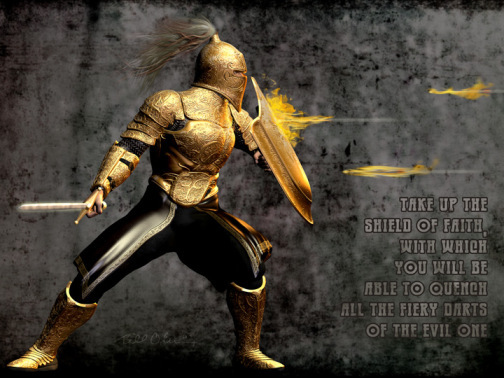 And finally, the OFFENSIVE WEAPON that you have to fight with is not a prayer of binding Satan. It’s the WORD of God. We’ve already read that MICHAEL is one of the chief princes. NOW we see Michael is “your prince.” In other words, Michael is the angelic authority over the people in the nation of ISRAEL. In my Bible study of Daniel 10, I believe that this first verse in chapter eleven, should have been the last verse of chapter ten. We are told that the angel who came to DANIEL had been put in a lower position of being an encouragement and protection to King Darius the Mede, the KING that DANIEL had served under as his chief commissioner. We know that spirits are timeless beings and have territorial assignments. The PRINCE OF PERSIA knows there is one way to wipe out the Jewish people and one nuclear bomb would certainly accomplish this. Before Christ, you’ve got to understand the prince of Persia is trying to destroy the lineage–the SEED of David through wich the promised Messiah was to come. But JESUS, the Savior of the World did conquer death; defeated the devil. So why is the prince of Persia inciting the Arab World and their leaders to build W.M.D. (weapons of mass destruction)? THE DAY WILL COME…when the Jewish people will repent and turn to JESUS, the Messiah. The time doesn’t come until the “times of the Gentiles” is fulfilled. Could the “times” have already come? Some Messianic Jews believe the “times of the Gentiles” ended in 1967 when the Israeli army took the Temple Mount. Since that time, there has been an increasing number of Jews who have found Yeshua–JESUS. In 1967, there were an estimated 2000 believers in Jesus among the Jewish people. An article I found on the internet in Charisma magazine mentions a 1990 survey, suggesting that more than one million Jewish people in the United States express “some sort of faith” in JESUS. So what is the Prince of Persia after today? Is the JEWISH REMNANT so frightening to his plans against Israel? Is the future conversion of the JEWISH PEOPLE jeopardise the kingdom he fights for? Is the EVANGELISM of the 144,000 Messianic Jews mentioned in the Book of Revelation so devastating to his kingdom, that he must make every effort to stop them as he attempted to stop the birth of JESUS? What does all this have to do with where I’m living in the world? PROPHECY UNFOLDING BEFORE OUR VERY EYES! Instead of saying to oneself, “Woe is me,” we should be encouraged by the revelation from Scripture the way things really are as the Bile explains what is happening in the physical realm. The Bible’s PROPHECIES are coming to pass–against all odds and as the spiritual powers battles going on unseen by us that resist their fulfillment. Sermon Notes and Commentary by Ron Daniel. Bible Translations used: Amplified bible except where noted. For the past month, our pastor has been speaking on PENTECOST from the book of THE ACTS OF THE APOSTLES; the introduction to the Holy Spirit and the POWER introduced to the believers in Christ Jesus–the NEW CHURCH. A thought came to mind, and a question– “Should Christians be celebrating the Jewish religious festivals?” Although it certainly NOT REQUIRED for Christians to CELEBRATE the Jewish Feast days, I find that it is beneficial to go beyond what’s said on Sundays, and investigate God’s Word on the topic of conversation even deeper. The JEWISH FEASTS is a fascinating study. God provides picture after picture of His entire plan for mankind and… one of the most startling prophetic pictures outlined within the Jewish feasts of Leviticus 23. “These are the set feasts (or appointed seasons) of the Lord, holy convocations you shall proclaim at their stated times” (Leviticus 23:4 AMP). The Hebrew word for “feasts” (mow’ed), meaning “appointed times”; and the words “holy convocations” means “rehearsal”. In other words, the FEASTS of the Lord were appointed times of worship for Israel, which then serves as a “dress rehearsal” in God’s prophetic calendar. You will see all this come into play as you follow along in this series [There are TWO PARTS to this study]. All of these rituals laid down by God in Leviticus have at their core, the teaching of the coming Messiah, Jesus Christ, and His sacrifice on the cross. “Surely the Lord God will do nothing without revealing His secret to His servants and prophets” (Amos 3:7). God has always warned the world of coming judgements in order that it may not bring them upon itself. Christ’s coming was foretold throughout the Old Testament, from Genesis to Malachi. Equally plain and a certainty of fulfillment are the warnings of JESUS and the prophets concerning the future that each day comes nearer to every nation on earth. That role is far from being over, and it will again come to the forefront as the TRIBULATION time begins (Matt. 19:28; Luke 2:36; 22:36; Acts 13:21; Rom. 11:1; Phil. 3:5; Heb. 7:13; Rev. 5:5; 7:14; 21:12), coming to full fruition in the Millennium and Eternal State beyond. That said, it is a mistake to think that we, the present day Church, pretend that we are something we are not, and we are not the divinely appointed nation Israel charged by God with observing Mosaic Law. As Christians, if we choose to celebrate these special days, we should put Christ Jesus in the center of the celebration as the One who came to fulfill the prophetic significance of each one. That’s my take, and I’m sticking to it! “On the fourteenth day of the first month at twilight is the Lord’s Passover” (Leviticus 23:5). The FIRST MONTH of the Jewish Calendar is NISAN – 14th evening, the Passover (Seder meals). 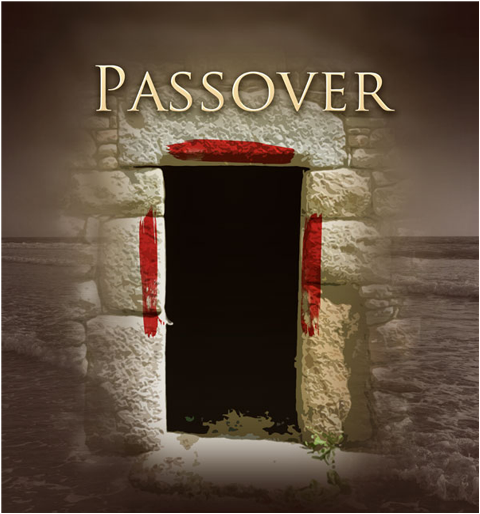 The PASSOVER (Hebrew Pesach), means “to pass over”, “to skip”. “The Moses called for all the elders of Israel, and said to them, Go forth, select and take a lamb according to your families and kill the Passover [lamb]. And you shall take a bunch of hyssop, dip it in the blood in the basin, and touch the lintel above the door and the two side post with the blood; and none of you shall go out of his house until morning. For the LORD will pass through to slay the Egyptians; and when He sees the blood upon the lintel and the two side posts, the Lord will pass over the door and will not allow the destroyer to come into your houses to slay you” (Exodus 12:21-23). “You shall observe this rite for an ordinance to you and to your sons forever” (Exodus 12:24). “In one house shall it be eaten; you shall not carry any of the flesh outside the house; neither shall you break a bone of it” (Exodus 12:46). Through the BLOOD of JESUS, we have eternal life. “I tell you the truth, whoever hears My word and believes Him who sent Me has eternal life and will not be condemned; he has CROSSED OVER from death to life” (John 5:24–capitalized for emphasis). JESUS was without fault–sinless, the perfect sacrifice. “For our sake He made Christ [virtually] to be sin Who knew no sin, so that in and through Him we might become [endued with, viewed as being in, and examples of] the righteousness of God [what we ought to be approved and acceptable and in right relationship with Him, by His goodness]” (II Corinthians 5:21 AMP). 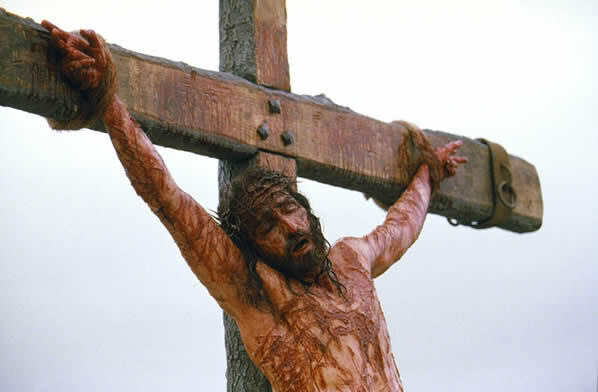 No bone of Jesus was broken on the Cross of Calvary (John 19:31-36). “On the fifteenth day of the same month is the Feast of Unleavened Bread to the Lord; for seven days you shall eat unleavened bread” (verse 6). “For seven days you are to eat bread made without yeast. On the first day remove the yeast from your houses, for whoever eats anything with yeast in it from the first day through the seventh must be cut off from Israel” (Exodus 12:15 NIV). “Therefore, let us keep the feast, not with old leaven, nor with leaven of vice and malice and wickedness, but with the unleavened [bread] of purity (nobility, honor) and sincerity and [unadulterated] truth” (1 Corinthians 12:15 AMP). “Do you not know that [just] a little leaven will ferment the whole lump [of dough]?” (1 Corinthians 5:6). Metaphorically, “yeast”, “leaven” is a symbol for sin. In the Jewish feast, yeast couldn’t even be kept in the house for seven days! UNLEAVENED BREAD is to be eaten exclusively for seven days. “I assure you, most solemnly I tell you, Unless a grain of wheat falls into the earth and dies, it remains [just one grain; it never becomes more but lives] by itself alone. But if it dies, it produces many others and yields a rich harvest” (John 12:24). 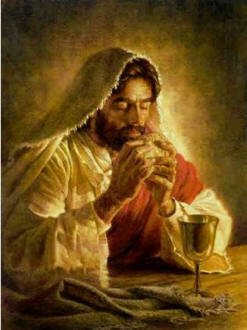 “JESUS replied, I am the BREAD OF LIFE. He who comes to Me will never be hungry…” (John 6:35). FIRST, the unleavened bread is a picture of His holiness, purity and sinlessness. His life and sacrifice was “unleavened”–without identifying with the curse of death–a Lamb without spot or blemish for the ultimate Passover sacrifice (1 Peter 1:19). JESUS died for us on the Cross; His body was buried (put into a grave) and after three days, the tomb was found empty! He is alive! Still producing a “rich harvest” of lost souls. “Tell the Israelites, When you have come into the land I give you and reap its harvest, you shall bring the sheaf of the firstfruits of your harvest to the priest. And he shall wave the sheaf before the Lord, that you may be accepted; on the next day after the sabbath the priest shall wave it [before the Lord]” (Lev. 23:10-11). In biblical times and again today, the first day after the Passover Holiday (Sabbath), the Feast of Firstfruits is celebrated. 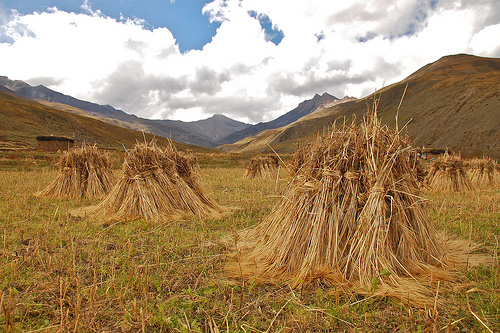 The festival acknowledged the fertility of the land that God promised His children. They were to bring the early crops of their spring planting and “wave it before the Lord”. “But the fact is that Christ (the Messiah) has been raised from the dead, and He became the FIRSTFRUITS of those who have fallen asleep [in death]” (1 Corinthians 15:20 AMP). In Exodus 19, we see for the first time, Moses received the Ten Commandments on stone tablets and the whole Law about seven weeks after the death of the Passover lambs in Egypt. The Torah is put into place by God, through Moses and given to the Israelites; it’s a commemoration of the giving of the Law. Leviticus 23:15-16, we read, “You shall also count for yourselves from the day after the sabbath, from the day you when you brought in the sheaf of the wave offering; there shall be seven complete sabbaths. You shall county fifty days to the day after the seventh sabbath; then you shall present a new grain offering to the Lord” (NASB). The fourth FEAST is often called the FEAST OF WEEKS, because God specifically told the sons of Jacob to count seven weeks from FIRST FRUITS and then the day after, this feast was observed. This also marks on the Jewish Lunar Calendar, the Summer Harvest [First Fruits began the Spring Harvest]. SHAVUOT (Hebrew) means “weeks”. The Feast of Weeks, Pentecost, goes back to the Greek word, “penteconta, fifty”. SEVEN WEEKS are forty-nine days–add one day (“the day after”), brings the total to fifty days. ISRAEL has been born as a nation through the Gift of the Law. THE CHURCH of Jesus Christ has been born, not from the Law written on stone tablets, but the followers of Jesus the Holy Spirit; the law of life written on your heart. “AND WHEN the day of Pentecost [Feast of Weeks] had fully come, they were all assembled together in one place. When suddenly there came a sound from heaven like the rushing of a violent tempest blast, and it filled the whole house in which they were sitting. And there appeared to them tongues resembling fire, which were separated and distributed and which settled on each one of them. And they were all filled (diffused throughout their souls) with the Holy Spirit…” (Acts 2:1-4 a.). As the Jews see the Feast of Weeks as the birthday of God’s covenant relationship with the nation of Israel, the fulfillment is found in the Book of Acts, the New Covenant. 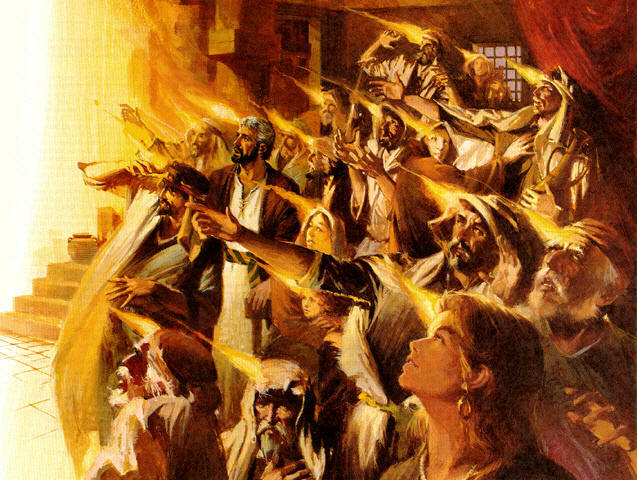 When you hear the word “Pentecost”, what do you first think of? Acts 2? Tongues? Charismatics? What should come to our minds is the beginning of the New Covenant. THE BIRTH OF THE CHURCH. JESUS was resurrected on the Feast of Firstfruits; fifty days after the resurrection of Jesus, and the promised New Covenant begins! Bible Translations used: Amplified Bible; New International Version (NIV) translation; New American Standard (NASB). 3. Expository Dictionary of Bible Words. 4. The NIV Complete Concordance. JEWISH CALENDAR Luzrius Schneider Feb. 03, 2000. And Deborah said to Barak, “Up! For this is the day when the Lord has given Sisera into your hand. Is not the Lord gone out before you?” So Barak went down from Mount Tabor with 10,000 men following him. And the Lord confused and terrified Sisera and all his chariot drivers and all his army before Barak with the sword. And Sisera alighted from his chariot and fled on foot. But Barak pursued after the chariots and the army to Haro-sheth-hagoiim, and all the army of Sisera fell by the sword; not a man was left. But Sisera fled on foot to the tent of Jael, the wife of Heber the Kenite, for there was peace between Jabin the king of Hazor and the house of Heber the Kenite. The king of the enemies of Israel was being DELIVERED into the hands of Barak. By the spirit of prophecy, DEBORAH knew this was the time to attack. So, Barak did. Sometimes, God speaks to us TO UP and GO! We may wonder, why now? Always remember that God’s timing, though it may not seem right at the time, is always perfect. Sometimes we are told to go talk to someone we haven’t even noticed before around us. Then, wonder how God’s purpose will play itself out and finding ourselves in position do nothing else… but patiently WAIT for His plan to be revealed. Does God really have a specific purpose for lives in this world today? It might not seem like it, but it is there alright. We just have to seek the wisdom and understanding to discover His plan and through His Word. And Jael went out to meet Sisera, and said to him, “Turn aside, my master, turn aside to me! Do not be afraid.” And he turned aside to her into the tent, and she covered him with a rug. And he said to her, “please give me a little water to drink, for I am thirsty.” So she opened a bottle of milk and gave him a drink; then she covered him. And he said to her, “Stand in the doorway of the tent, and it shall be if anyone comes and inquires of you, and says, ‘Is there anyone here?’ that you shall say, ‘No.’ ”  But Jael, Heber’s wife, took a tent-peg and seized a hammer in her hand, and went secretly to him and drove the peg into his temple, and it went through to the ground; for he was sound asleep and exhausted. So he died. and BEHOLD, as Barak pursued Sisera, Jael came out to meet him and said to him, ” Come, and I will show you the man whom you are seeking.” And he entered with her, and behold Sisera was lying dead with a tent-peg in his temple (NASB). It’s almost fearful to read the words laid down in front of our eyes. Samson falls asleep in the “barber chair” of Delilah and gets his hair cut off; Sisera falls asleep in the tent of Jael, getting a tent-peg driven through his skull. Hmmm, anything here about going asleep while the women of the house may be angry at us? “But because of the way you are going about this, the honor will not be yours, for the Lord will hand Sisera over to a woman” (Judges 4:9). Great Lessons to Learn–THINGS aren’t always what they appear at first! Yes, I found some great lessons from this particular passage of Scripture. 1. JAEL broke a fundamental principle of hospitality. 2. JAEL broke her promise to Sisera and killed a man that her own husband had made peace with. And yet… God used even her treachery to accomplish His purpose. Surely, Sisera deserved to die; he fought against God’s people on behalf of a leader; he harshly oppressed the people of Israel (Judges 4:3). Could this be a NEWS HEADLINE in the Middle East and today’s world? You bet! “Surely Your wrath against men brings You praise; and the survivors of Your wrath are restrained” (Psalm 76:10 NIV). Yet, that never lessens the personal responsibility for the one doing the evil. JUDAS’ betrayal of Jesus served the eternal purpose of God, yet he still answered for the evil deed. 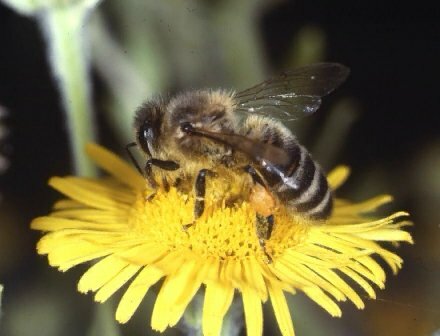 DEBORAH (the “Honey Bee”) was a prophetess and intercessor who had been placed to judge the things of God; used mightily to free her people from their enemies. Oh how the Body of Christ (The Church) needs more DEBORAHS to lead us away from the circle of apostasy. Now not ALL women in your church are going to be “DEBORAH S”, and not ALL men will be “Barak s”; but that doesn’t change our God given responsibilities as true believers in Christ Jesus. “I will go with you.